First we caught a glimpse of the Samsung Jasper, a mid-range device slated for Big Red. 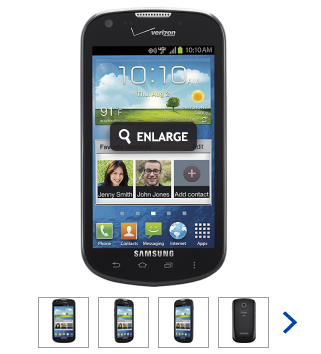 Then Droid Life was leaked a photo of the price card for the Samsung Galaxy Stellar. Now we know they're one and the same,courtesy of a full product listing that has cropped up on Best Buy. Though the Stellar is listed as available for store pickup beginning today, it's actually unavailable in stores at this point. So, as you can see, I'm quite excited about AirAttack HD. Now multiply it by 10, and you'll get to the level of my fascination about how polished everything is in this game. Created by Art In Games, AirAttack HD came to Android a few days ago without much fanfare, but didn't have any trouble reserving a spot in our weekly roundup. However, it wasn't until an hour ago that I finally got to try it out, and let me tell you, every single little thing about this game is top notch.